Auto capture transactions, discounted TDRs and fast settlements T+3 days. 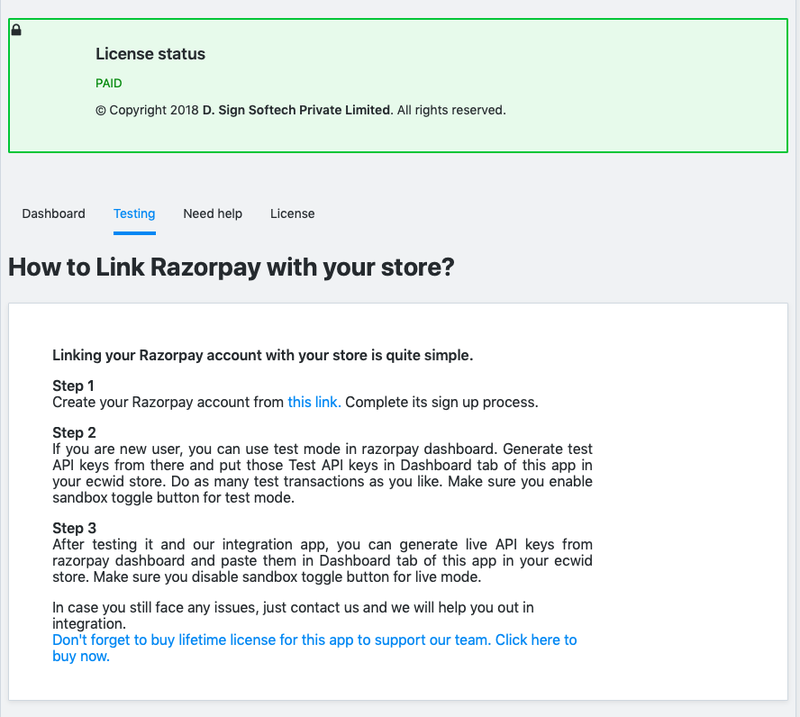 This integration allows you to link your Razorpay account with your online store instantly. You are just required to fill your API keys and you are ready to accept payments. 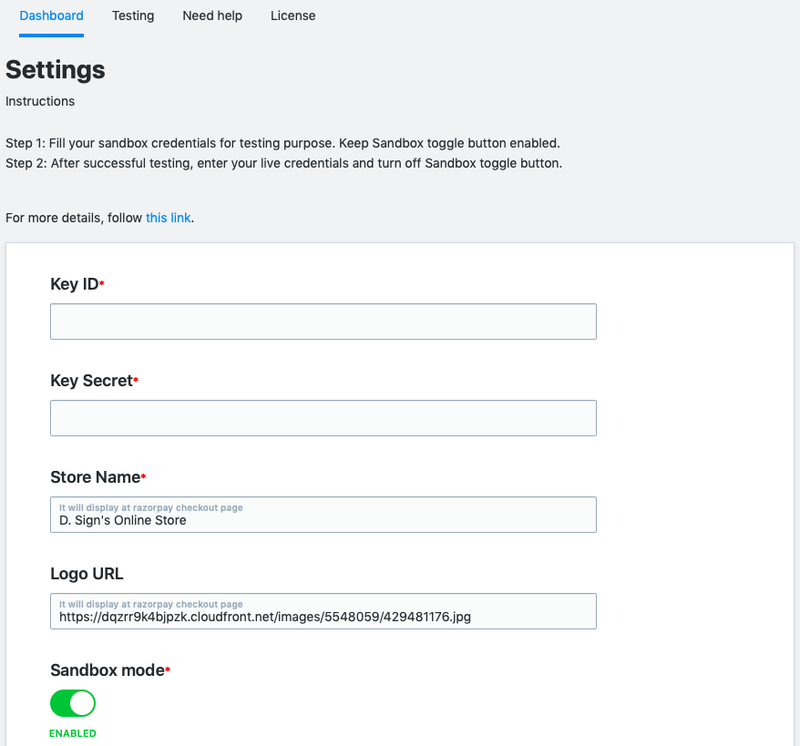 There is a test mode feature also available in the app, where you can fill your test API keys and see the functionality of our integration, as well as the Razorpay’s process too. 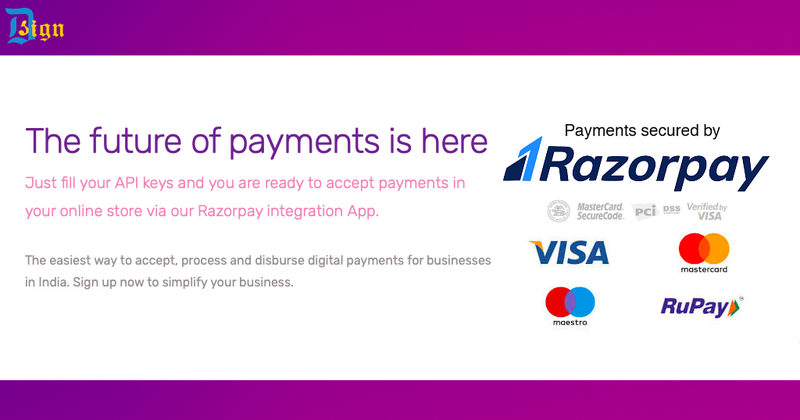 Mix and match products from Razorpay's payment suite to solve for your exact business use case. Your card will be charged automatically at every billing cycle. 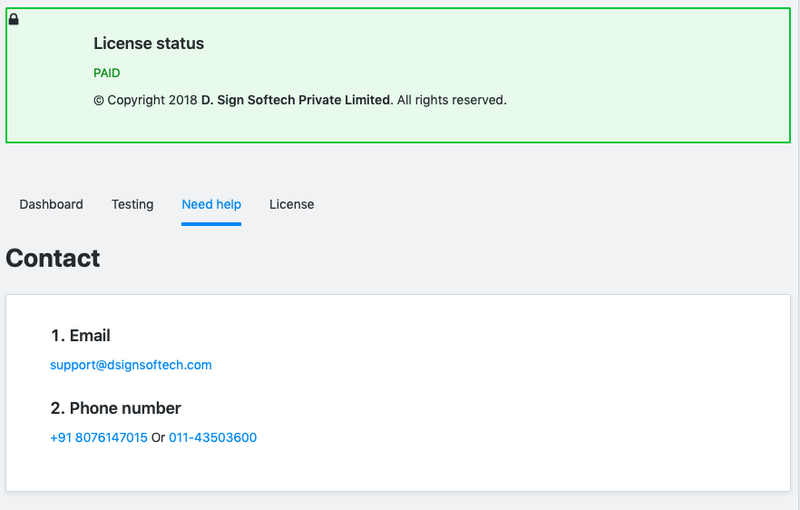 If you need to cancel this subscription any time, you may contact the app developer via email at support@dsignsoftech.com.